The character sheet works just fine as an alternative for the existing designs but simplifies the information on the front to make it easier for newcomers to pick up. 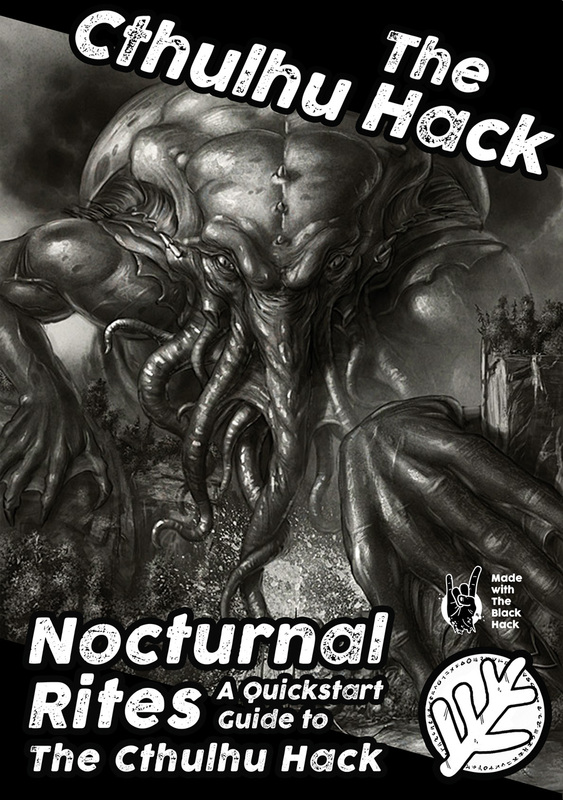 The Cthulhu Hack Quickstart provides just enough detail to play – and provide a perfect lead into the full game and the expanding range of supplements and adventures. And this weekend, you can take advantage of the Black Friday and Cyber Monday Sale to pick up The Cthulhu Hack at 15% off.